Experience the thrill and excitement of playing some of your favorite casino games, now in a more convenient size. Play on your computer or Android and Apple mobile devices! Mini Games offer full game play of several of the most popular casino games including Blackjack, Video Poker, Baccarat and more. Rebate Blackjack and Rebate Video Poker offer up a 0.2% volume rebate*. Each game can be played on your computer in a smaller window so that it can easily be moved to any position on your screen. This feature allows you to play while other windows are opened. Or, take the action with you! 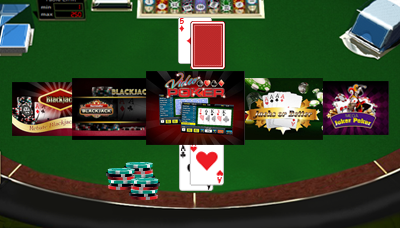 Super Stack Poker Mini Games are available for iPhone or Android devices so you can play a quick game almost anywhere. No need to wait start playing today! If you would like to contact us, send us an email by using the "Contact" form and someone will get back to you as soon as possible.